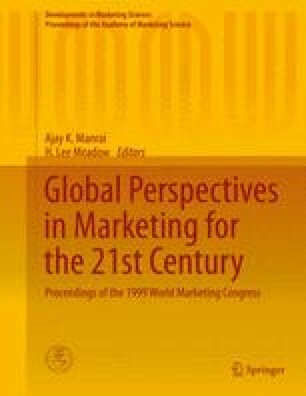 As global competition has increased, there has been a renewed Interest in the effect of culture on marketing strategy (Aggarwal 1995; Black and Porter 1991; Bigoness and Blakely 1996; Dyer and Song 1997). The basic question, which has been argued for decades (see for instance, Buzzell 1968; Levitt 1983), is whether (or to what extent) management theories and practices are transferable across cultures (Douglas and Wind 1987). Some assert that globalization and changes in technology have lead to standardization, increasingly similar cultures, and universal management practices (Levitt 1983; Misawa 1987; Harpaz 1990; Ralston et al 1992). Others argue that despite the standardization of products and services, cultures are resistant to change, cultural differences are fairly stable over time, and different cultures require different management practices (Newman and Holten 1996; Hofstede 1980; 1991; Barkema and Vermeulen 1997; Erez 1986). Research findings have been mixed, but recently academicians have tended toward the view that culture does still matter. However, it has appeared that many organizations operate under the belief that cultures are converging and therefore, the transferability of management practices is a viable strategy (Callahan 1989; Marketing News June 1998). Thus, the impact of culture on marketing management strategies is still an important issue.